Both efficiency and lifetime of high power multi mode laser diodes improve significantly when used together with Volume Bragg Gratings (VBG) from PD-LD, Inc. At the same time, the bandwidth is reduced and the wavelength stabilized, making them virtually temperature independent. 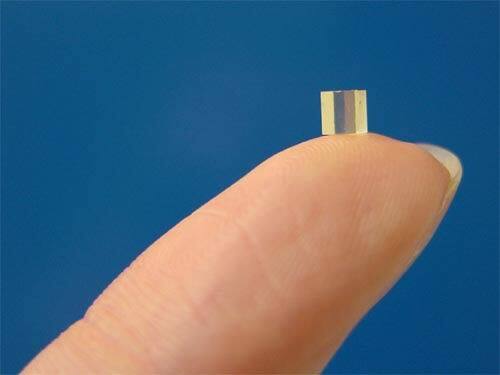 A normal high power laser diode without VBG typically has an FWHM of 3 to 6 nm, a wavelength tolerance of +/- 3 nm, and a temperature dependence of the wavelength of 0.3 nm/K. Together with a VBG the FWHM value is reduced to less than 0.5 nm, the tolerance to +/- 0.5 nm, and the temperature dependence to 0.01 nm/K. In this way the laser diode comes much closer to the ideal monochromatic beam source than in the past. Sensor technology, chemical analysis, and certain medical applications that rely on exact center wavelengths. In principal VBG can be used with laser diodes of all wavelengths and every power level for single emitters, linear arrays, and multi array stacks.